We pride ourselves in the relationships that we establish with our clients; built on a foundation of trust. Each client is given our undivided attention and we ensure that they are involved in every step of the process. We are available 24/7 and communicate regularly to make sure that each project is seamless, and most importantly, stress free. Staying competitive with our pricing is one of our top goals. We work with all customers by offering them our contractor discounts on materials and giving them a wide selection of options where they can save money and not compromise their renovation dreams. We work with all our customers to ensure that we stay within budget once the job has started. There is nothing more frustrating than having surprise costs come up and we make it our goal to completely avoid those scenarios. We protect both our clients and ourselves by holding liability insurance, being fully Licenced, and being members of the Workplace Safety and Insurance Board. With 15 years of experience in the construction industry you can feel at ease that you are working with the best. 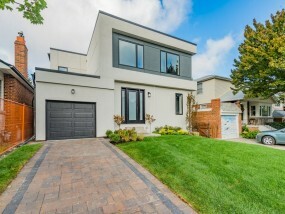 At M3X Construction we have worked on a multitude of homes across the GTA, often ones which other contractors are uncomfortable working on due to the complexities involved with older buildings. Our understanding of potential ‘surprises’ that may come up during projects allow us to set proper expectations avoiding uncomfortable last minute changes to prices. 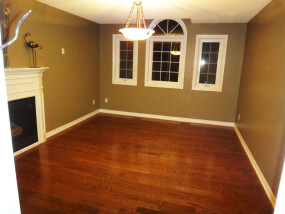 As you will notice through our Homestars reviews, we take satisfaction very seriously. Our customers have helped us grow tremendously in the last 5 years and we will never stop showing our appreciation by going beyond their dreams and expectations. Our customers are the reason why we love what we do; there is nothing better than seeing the happiness we can bring to peoples lives. Mike started in the construction industry over 18 years ago working for home developers. Since then, Mike has steadily grown his business year over year. Today, Mike has built a booming construction business in its own right. With hundreds of projects completed, Mike and his crew are excited to raise a glass in salute to each and every customer who gave them a chance to deliver great work. 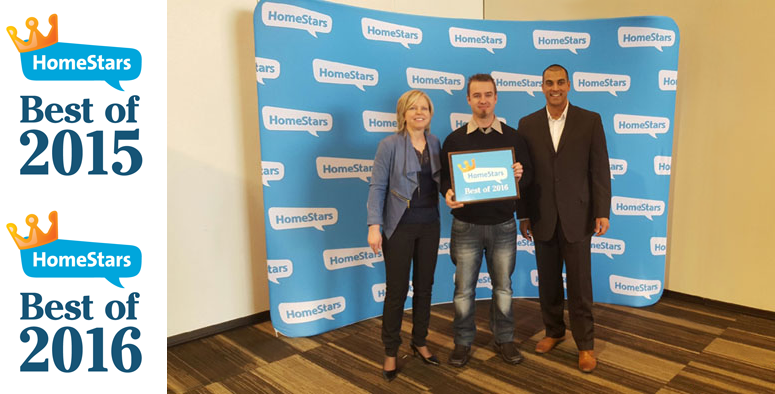 Each year Homestars chooses a select number of businesses to win 'The Best Of’ in specific categories. The awards are based on the quality and quantity of customer reviews that each business receives. We are proud to have won the award two years in a row! The award not only shows existing and future customers how devoted we are to satisfaction, but also our commitment to being the best and continually growing year over year. Our customers can depend on us to make their vision become a reality from start to finish. We are a one stop shop and work with the best trades in the industry so that every aspect of the renovation process is done to perfection. Some of our recent jobs include: Basements, Kitchens, Bathrooms, Floors, and Home Layout Redesign. 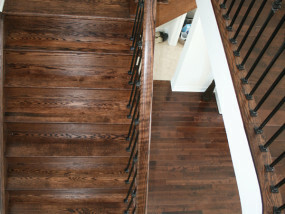 Many of our clients call us to help them modernize and update their homes to the most recent trends. 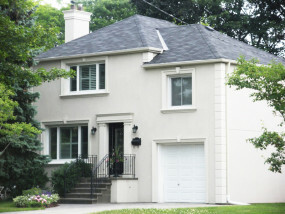 We even do external work such as Stucco, Additions, and Entire Home Rebuilds which removes the headache of working with more than one contractor. Check out our portfolio to see recent projects that we have completed. We service the following areas: GTA, Toronto, Mississauga, Oakville, Milton, Brampton, North York, Richmond Hill, Etobicoke, Scarborough, Markham, New Market, Maple, Vaughan, Aurora, Pickering, Hamilton, Burlington, Cambridge, Brantford, Guelph, Kitchener, Georgetown and surrounding areas. With over 18 years of experience in construction, M3X Construction has been taking their growing success and establishing themselves in the commercial industry. Some of the most recent projects include: Interior and exterior finishing, building, and maintenance for property management organizations, commercial buildings, warehouses, offices and office buildings, and stores. Our commercial focus includes: Framing, Drywall, Taping, Trim, Painting, Floors, Layout Redesign, Insulation, Windows, Doors, exterior work, such as Stucco. Please check out our ‘Why M3X Construction’ and 'Reviews’ section to get a better idea of why we are the right choice for your construction needs. We would also be happy to provide references from our satisfied commercial customers who put their trust in our organization. 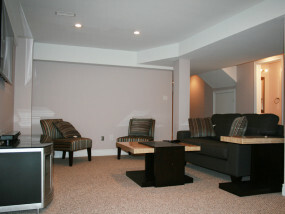 I have just finished a major condo reno with Mike — new kitchen, two gutted bathrooms, floors, painting, lighting, etc. 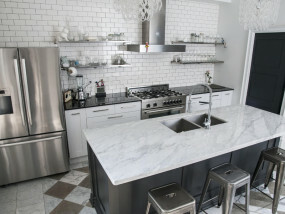 It was my third kitchen reno project and this one went very smoothly. Mike was always available, never left the job site to move on to the next one until it was done, and didn’t settle until everyone was happy. I even left the country in the middle of the construction and had no qualms that things would be well taken care of in my absence. A very pleasant experience — and my condo is gorgeous! Recently had a complete basement reno including a 3 piece bathroom and I couldn’t be more satisfied. Job started on time and completed in 3 weeks of non stop work with only minor details remaining which were addressed in a timely fashion. Mike and his subcontractors were always on time, highly skilled and a pleasure to work with. The final cost was exactly as quoted and included extras not in the original price. I got other quotes but after meeting Mike I was confident he was the man for the job and I was right. Mike Wisniewski and the team at Mike’s Renovations provide outstanding service. Mike is diligent, thorough, attentive to client needs, responsive to concerns, professional and very skilled. We were struggling to find a way to enclose our top floor bedroom (loft) from the rest of the house without compromising the spacious feel of the room. Mike suggested a glass enclosure. His brilliant idea proved the perfect solution – our room looks awesome. Mike communicates frequently and reliably. He is honest and has a strong sense of integrity. I cannot recommend highly enough. I cant say enough good things about Mike and his work ethic. He is punctual, polite and honest. Our kitchen counter looks amazing, the price was right, the workmanship is outstanding and it was completed in a timely fashion. I have no hesitation in recommending him. I hired Mike to re-tile my shower enclosure and I couldn’t be happier with the job he did. Mike is one of those rare contractors who actually delivers what he promises. He set a deadline for himself and he met that deadline exactly as promised. I would highly recommend Mike for your contracting needs.